Didja see "Mamma Mia!" the movie? Did it get your brain bouncing to the tunes of ABBA? A stage production of "Mamma Mia!" 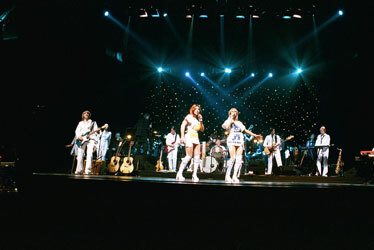 is due at the Blaisdell Concert Hall next May, but if that seems too long to wait, promoter Tom Moffatt is bringing an ABBA act to town next month. "ABBA the Music" runs Sept. 26 and 27 at Hawaii Theatre, featuring some original band members in an international touring group that revives such hits as "Waterloo," "Dancing Queen" and "Take a Chance on Me." Tickets to the "Mamma Mia!" shows next year are available through the Blaisdell box office and Ticketmaster locations. Call (877) 750-4400 or visit www.ticketmaster.com. Chef Seiya Masahara will lend his culinary talents to the Joy of Sake event Aug. 28. Joy of Sake event features rice wines rare in the U.S.
Artistry of two kinds accompanies next week's extravaganza of rice wines, Joy of Sake 2008. Chef Seiya Masahara, who gained fame by defeating "Iron Chef" Masaharu Morimoto in a "Battle Monkfish," brings his culinary artistry to the event, and ceramic artist Dorothy Feibleman from London will display her porcelain cups with tiny mosaic inlays. 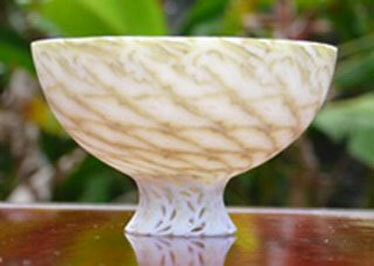 Joy of Sake takes place from 6 to 8:30 p.m. Aug. 28 at the Hawaii Convention Center in Honolulu. Masahara, of Hakkei restaurant in Okayama Prefecture, will be joined by local chefs from Chai's Island Bistro, Doraku Sushi, Gyotaku, the Halekulani, Hanamaru, Hoku's, Kaiwa, Nobu Waikiki, Marian's Island Wide Catering and Wasabi & Nadaman. 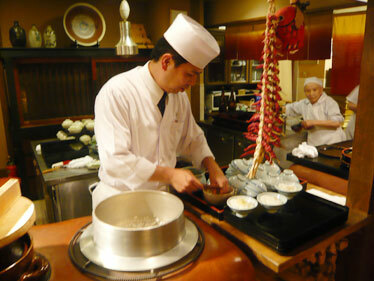 They'll present sake no sakana (appetizers) in an izakaya (sake tavern), set up in a corner of the convention center. Desserts will be by Abi Langlas of Cakeworks. As for the sake, 328 will be poured, all submitted for the U.S. National Sake Appraisal that will be held in the two days before the tasting event. In the appraisal, judges from Japan and the United States will award gold and silver medals to the top sakes in several premium categories. Many are unavailable in this country. The Wine Stop offers a seminar, "Tasting Methodology 101," at 3 p.m. Sunday. This beginners' class offers instruction in using all senses to taste and appreciate wine and build a wine vocabulary. Cost is $20; reservations are required. Call 946-3707 or visit www.thewinestophawaii.com. The shop also offers complimentary wine tasting from 1 to 5 p.m. Saturdays. This weekend focuses on "Modern Merlot: Value vs. Splurge Merlots"; on Aug. 30 the topic is South American wines. Pau Hana Friday wine and cheese tastings, also free, are held from 4 to 8 p.m. on the second and third Fridays of the month. The Wine Stop is at 1809 S. King St.
Shane Masutani, executive chef of the Alley in the Aiea Bowl, hosts a free cooking demonstration at noon Saturday at Macy's Ala Moana. Masutani will demonstrate how to prepare Coca Cola-Marinated Turkey Salad and Lemon Drop Crunch Cake. The event will be held in the demonstration kitchen on the fourth floor. Call 945-5894. "An Evening in Paradise," a benefit for the Hawaii Island United Way, will be held Sept. 6 at the Mauna Lani Resort. Mauna Lani chef Edwin Goto and a group of other Big Island chefs will offer an array of dishes. Entertainment will be by Kaiwi. Tickets are $85, $50 children. Call 935-6393, ext. 221, or visit www.hiuw.org.